What’s wrong with children using electronic devices? Is it the amount of time they spend on a device or the media the choose to consume during that time? Most coverage of electronic media use among children is damning. Citing a wide variety of negative studies, many articles are quick to point out how hard it is for students to learn and function when they are spending as much as 9 hours per day on electronic entertainment. A great article from EdSurge disputes the notion that the amount of screen time matters. Instead, author Scott Traylor challenges readers to focus on setting limits on certain kinds of screen-based activities. For example, is learning how to code or building a new app the same as watching Teen Titans? Hardly. In a Marshall Mcluhan-esque analysis of digital media, Traylor breaks down content into two categories: passive and active. McLuhan called such media “cold” and “warm,” respectively (Traylor’s chart depicts the colors opposite McLuhan’s; red for passive and blue for active). Learning games and activities, collaborative digital projects, video conversations with friends and family, and coding are all productive uses of digital media. Of course, too much social media and movie time can be detrimental. 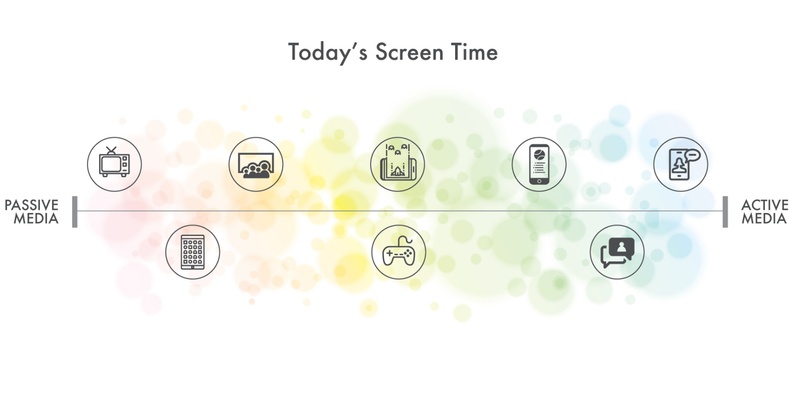 However, it may no longer be realistic to frame the digital media argument around screen time. Consider that we are operating in an environment where students are increasingly likely to receive Chromebooks rather than textbooks when they go to school. Screens are becoming omnipresent in life. It’s what we let children do with them that counts. The media choice itself determines whether we create an iPad zombie or a software engineer. Just a thought.